Jennifer Lawrence’s Platinum Bob Makes Its Red Carpet Debut: See Her Dramatic Makeover! A platinum &apos;do for a platinum lady! Jennifer Lawrence debuted a white-blonde bob at the Hunger Games: Mockingjay – Part 2 hand and footprint ceremony outside the TCL Chinese Theatre in Hollywood on Saturday, Oct. 31. The trio was on hand to commemorate the release of the fourth and final Hunger Games film, which will bring the blockbuster series to an end. Taking part in a time-honored Hollywood tradition, the actors pressed their hands and feet into a cement panel (which will be placed in front of the theater), but before that, they thanked their massive fan base for support. Addressing the crowd, Lawrence began shyly, "I didn&apos;t know we were going to make a speech. I&apos;m very grateful. I&apos;d like to say that on behalf of everyone here for The Hunger Games – I can&apos;t remember your names. I&apos;m just kidding! Anyway, Liam?" The Aussie actor added, "Hey, I&apos;m going to say to you guys: I&apos;m honored to share [this experience] with you both. I love you both so much and let&apos;s just be friends forever." PHOTOS: See the stars at the Hunger Games premieres! Finally, Hutcherson hopped up to the podium. "I gotta say that the Hunger Games fans from the beginning — since before we even made one movie — you guys supported us," he shared. "It could have been really bad so thank you for that! You guys give us the energy to keep going, and I really appreciate it. This means a lot to all of us. Thank you!" Are you loving Lawrence&apos;s platinum bob? 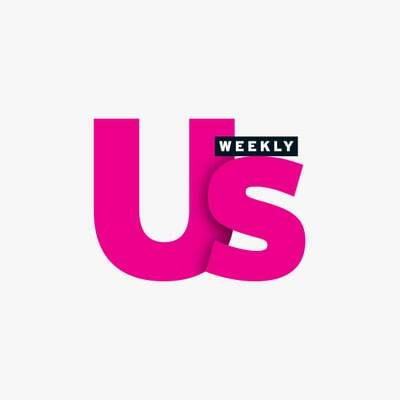 Tweet with @UsWeekly using the hashtag #stylebyUs! Are you loving Jennifer Lawrence's bob? All About Jen's long goddess hair.